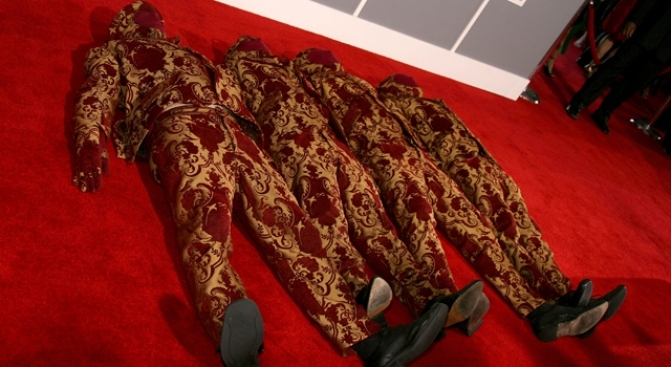 OK Go likes to make sure they match their surrondings really well. TREADMILL DANCE: The band the created one of the greates videos of all time will play the Great American Music Hall, 859 O'Farrell St., in San Francisco at 7p.m. Ok Go will bring its energy and unique music styling to play songs from their forthcoming album. Tickets are avaiable at the Great American Music Hall's Web site. FUNNY ALL OVER: Kevin Camia will bring his comedy styles to the Punchline Comedy Club, 444 Battery St., in San Francisco at 8 p.m. Tickets are available for $15 from Ticketmaster. CULTURAL DANCE: The Black Crown Stringband will discuss the cultural influences that have contributed to the various styles of dance at the Ashkenaz Music & Dance Community, 1317 San Pablo Ave., in Berkeley.